The Forward Motion Hare Scrambles series continued this Memorial Day Weekend. On tap was a full 3 days of off-road riding/racing. Saturday was an open practice and Christopher and I took advantage at the chance to ride trails and get in some more "seat time" for him. He is still learning to ride his bike and build up the endurance and strength required to "wrestle " a 250 pound beast around for over 2 hours. One thing we changed on his bike to make this easier for him was to have Doug Stone work on his suspension. After one lap on Saturday we returned to the trailer and the first thing Christopher said was "I Love My Suspension". He must have because on the second lap we went out and worked on a few sections and I was impressed that he was able to keep up with me when I pushed the pace. We rode for a couple of hours and also hit the MX track that is at Big Springs to get ready for the Best of Kansas race (HS, MX and TT) on Monday. Race morning arrived and I was feeling really nervous. Today's event was having everyone race at once with no split classes. This would mean about 175 riders out on the course at one time. I knew it was going to be dusty and I was very concerned about the limited visibility. Luckily Big Springs is an easier course with limited rocks and roots to hit while riding in the dust. One of the skills we practiced on Saturday were starts. Christopher improved with each practice and I was hopeful he would remember everything and his motor skills would become second nature today. I used to be called "Mr Holeshot" back in Florida. I always have had very quick reactions with excellent eye hand coordination. Only problem on Sunday was the promoter started the race with a shot gun. This caused me to get off the line a little slower than I wanted. I entered the corner outside the top 10, but one other skill I have always had was the ability to find a line and negotiate a hectic start. I got on the gas quickly and maneuvered into second exiting the first turn. On the next straight before the woods I kept the throttle on a little longer than Terry Fleming (#1017) and shot into the lead going into the timber. Below you can see Christopher needs a little more work with his throttle control and reactions. We will keep at it and maybe with some motivation he will start doing some "Moto Training" with me to improve these required skills. Luckily he did have the reactions to avoid a crash at the start and worked his way up into the top 5 by laps end. The pictures do not show it, but the trails were very, very dusty. I had clear sailing for about 3 minutes and started to check out. I got a nice lead but soon caught up to the back markers in the class that started ahead of us. It was very hard to see, yet alone pass on parts of the course. A lot of the passing was on open sections and on the Endurocross course after the scoring area. I am getting much better at these Endurocross courses. I remember the first time I visited Big Springs I bitched about the section, but now with more riding time and a much better bike I feel more at home. Key is to attack the obstacles like the tires below - see below. Christopher handled the section well. His first lap was good and was inside the top 5 working his way through the field and dust. After the first 2 laps the field started to get strung out some. By the third lap it became very easy to pass riders as fatigue started to set in. Hare Scramble last between 2 to 3 hours long. If you are in shape you can really make up ground late in a race. Christopher looking good on his second lap. Standing up and in control of his bike. My 3rd and 4th laps were the best. At times I was flying. That was until I got caught behind riders and their dust. My condition is good on the bike right now. Not super fast, but I can ride steady for hours at the same pace. Christopher got in 4 laps on the day. He got very tired after the hour mark and by the time 2 hours rolled by he was beat. Fell back to 13th place on the day. My main goal this season in the Hare Scrambles series to be strong for the entire 2 to 2 1/2 hours. Good news is I have been able to achieve that at the last two rounds. I was fortunate on the day and was able to secure another win. It is always a good feeling to see "Class Leader" when you roll through the scoring area. This past weekend was the Greensfelder Challenge over in St. Louis, Missouri. 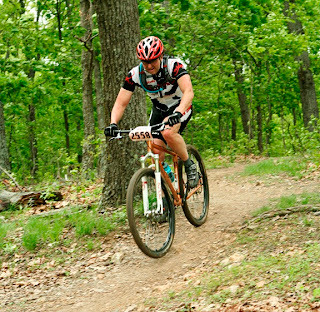 This event would also be the 2013 Missouri State Mountain Bike Championships and award qualifying spots to those riders planning on going to the National Championships in July. While I personally have no ambitions nor talent to race nationals, Tige Lamb and Christopher both headed over to qualify, test their fitness and possible bring home a title. Greensfelder is hidden in the hills of West St. Louis County (just behind 6 Flags). The hilly trails are open to hikers, bikers and equestrians. They are maintained by the Gateway Off-Road Cyclist . 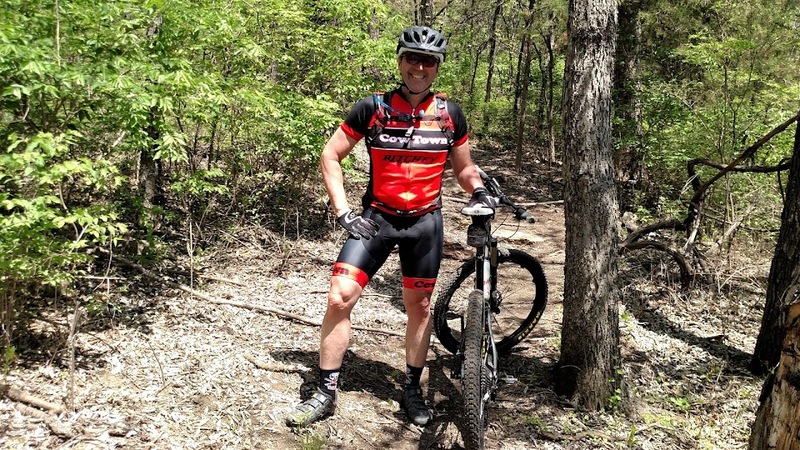 If you are ever in the St. Louis area be sure to check out these trails. The GORC guys/gals did an awesome job and these trials just plain flow. They have a little of everything including a monstrous rocky/rooty climb that would test anyone's cycling ability. I personally walked that bad boy every lap. 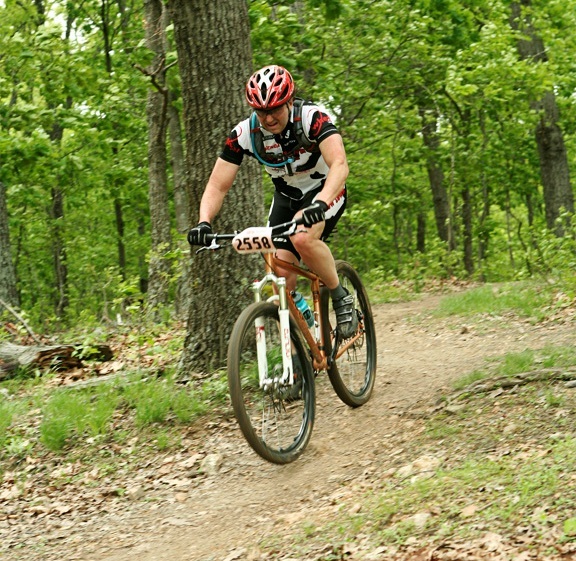 The majority of the trails are smooth flowing single track. There were several miles of some rocky/hilly terrain that allowed riders with some technical ability to shine. Very fun trails for just about any ability level. I know I enjoyed my time riding them on Sunday. 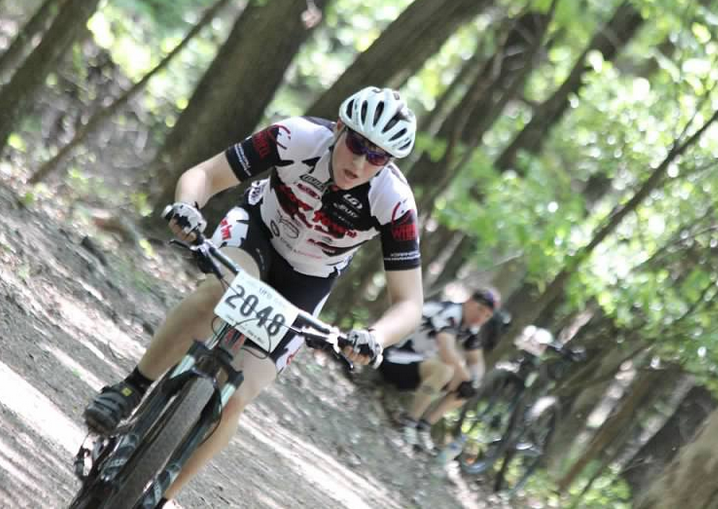 Last year Christopher made an attempt at returning to racing mountain bikes. 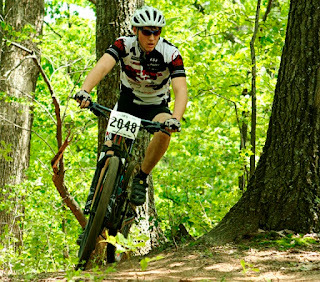 He started in the junior class and won 3 events in a row including the 2012 Missouri State Mountain Bike Championships which were held in Warsaw. A winter passed with a few attempts at racing cyclocross to keep his fitness up. The long winter and early wet spring did nothing to motivate Christopher to ride or train much. This showed up in spades on Sunday. A couple of weeks ago I asked Christopher if he was going to try and defend his title. He said yes and asked when the event was. I said in 3 weeks. 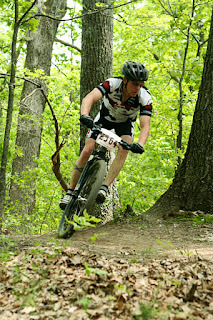 "I guess I need to go out and ride then" 5 rides later and Christopher arrives Sunday with a new Giant 29er MTB and what he thought was enough form to earn another championship and a ticket to Nationals. Seven male juniors lined up including Dylan Bartlett who placed 2nd last year behind Christopher. This years event played out the exact opposite as last years. Christopher lead for the majority of the event and enjoyed a nice lead up until the final mile of the course. At the bottom of the final climb there is a short section of double track. Christopher was getting really tired by this point and eased off some so he did not blow up. This allowed Dylan to catch up to him. Once Dylan caught up he attacked at the bottom of the climb and that was all he needed. Christopher had nothing left in his legs and watched as Dylan road away to earn the state championship. Christopher rolled in 2nd place and got a ticket to nationals. That might be one ticket that we will not use. Tige lined up with a health group of Cat 1 riders. As expected, most of the big boys were racing including strong riders like Kenda/Felt rider Drew Edsall, Daniel Miller, Travis Doon, Chris Ploch, Bob Arnold, Doug Long and Aaron Elwell. Tige put a good first lap, but fatigue from a very hard week of training and work caught up to him. He still earned 4th place in the Male 40 - 49 division and stamped ticket to nationals. 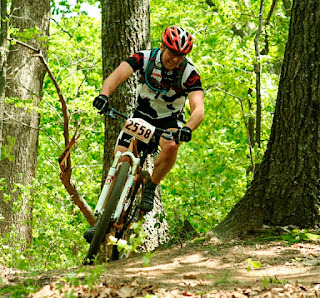 I am sure a easier week will allow for a strong showing at Sunday's Kansas State MTB Championships/ Dirty Little Secret. My plan for the day was to ride a steady race, have consistent lap times and test my wrist. I have put in a lot of physical therapy and the hard work has started to pay off with very little pain in my wrist. My legs felt o.k. morning so I opted to ride an entire lap to warm-up. When it came time to start I guess adrenalin took over and before I knew it I was sprinting to the front in front of the like riders like Peat Henry, Mike Barro and David Delessio (the eventual podium). This did not last for long and by the end of the first technical downhill I was in last place (10th) in the Single Speed class. Yes, last place and feeling damn good about it. I honestly thought I would bring back most of riders by the time the 2nd lap came around. I rolled the flowing single track and technical sections great. On the rocky/rooty climbs I quite honestly suffered. 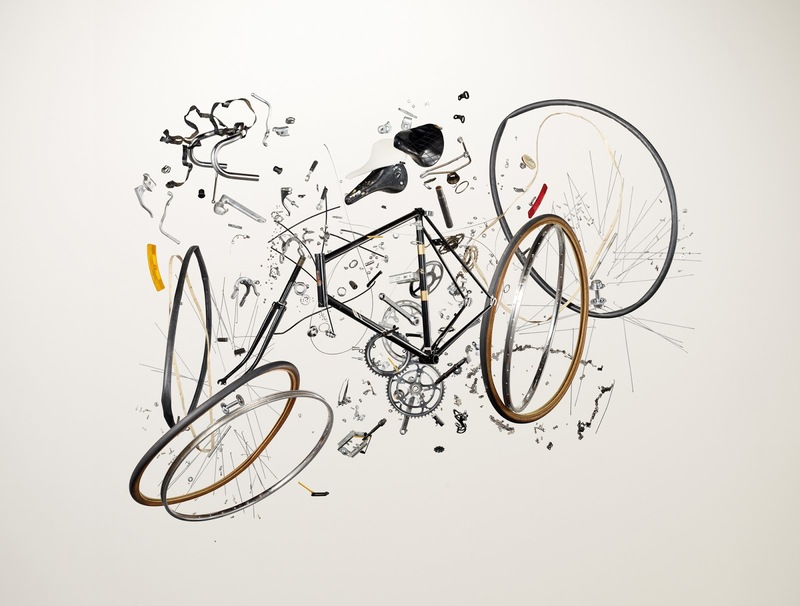 With a single speed you really need to have the power to keep on top of the gear. Today I was a little off on the power side. These same rocky sections would come back in a big way on my 2nd lap. On the final lap I really thought I would start to bring back some riders. I was catching up and passing riders but very few of them were in the SS class. On course I came up on Christopher who was out doing a cool down lap and talking to a collegiate cyclist who just happened to be in town visiting. As they chatted and I went flying by Christopher dropped in behind me. I was still having trouble with the rocky/rooty climbs so I told Christopher to go by me as I was unable to keep my pace. On one of the climbs I tried a different line on the edge of the course. I ended up running over a loose rock which flipped up and got in my drive train. This caused it to derail and I spent the next 5 minutes getting the chain back on my single speed. Luckily Christopher finally came back and help and I was soon back rolling and enjoying the course. 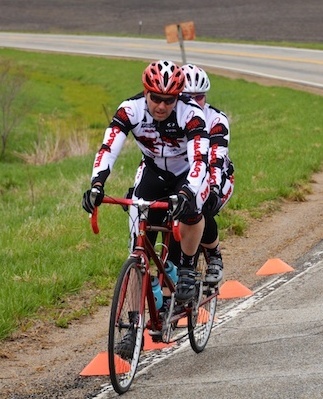 Carolynn and I recently participated in our first race on our tandem. 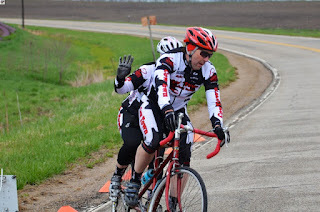 We have talked about it for years (over a decade to be more precise) but with limited opportunities offered to race our tandem it just never happened as other events took precedence. One of my goals this year is to start working on that Bucket List of mine. It is a long one and I am not getting any younger. A tandem race was on that list along with another cycling tour on our tandem. Not many opportunities to race in a road race or criterium around here on a tandem. 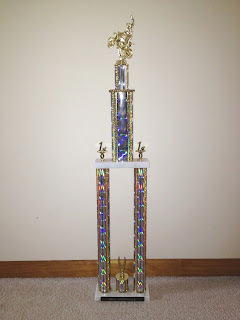 The only road race that I know of is the Show Me State Games Road Race outside of Columbia. Roger Harrison offered up a tandem class at this years Bruce Edwards Memorial Time Trial and decided that would be a good event to support. Our time of 18:31 did not set any course records but did earn us a nice Gold medal. I'm still working on Carolynn to get a mountain bike tandem. 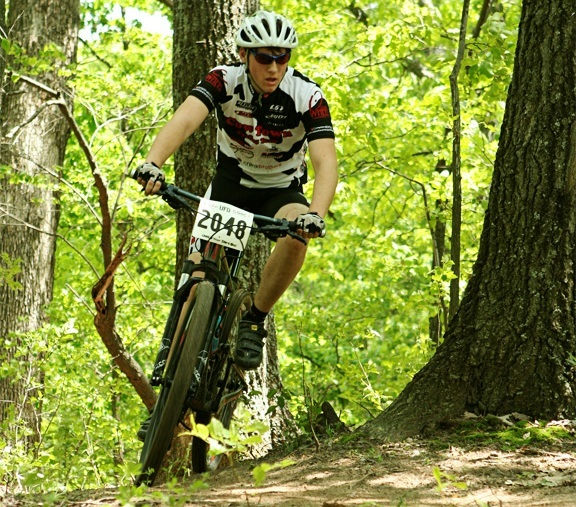 I would really like to participate in an event like the Ouachita Challenge on a tandem. Adventures like that with my wife and family is what I look forward to over the years to come. In a few short weeks Carolynn will be able to cross off one item off her list. For over 20 years she has watched me race in hundreds of events, many of them triathlons and duathlons. 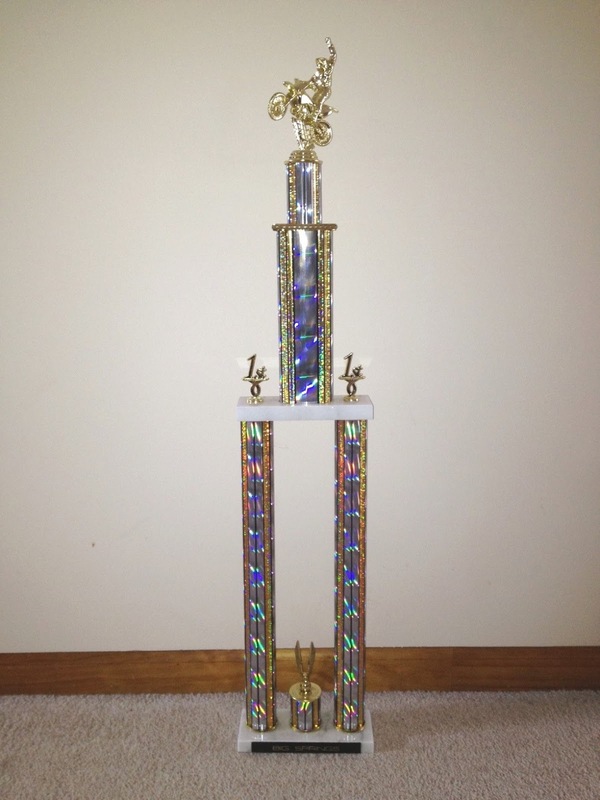 Well come June 1st she will toe the line for her first ever duathlon - the Sedalia Spring Into Summer Duathlon. 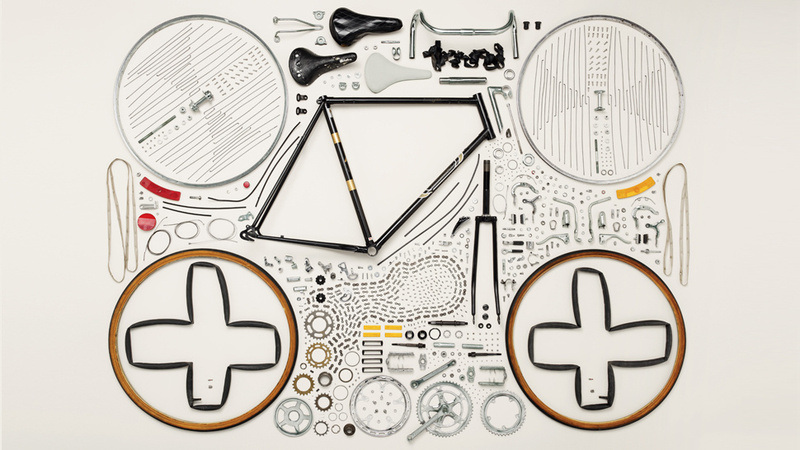 Ever wonder how many parts make up a bicycle? Check out the pics below. 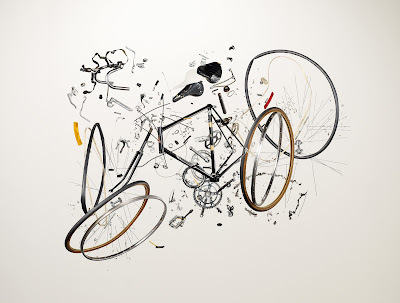 Just imagine a current mountain bike with all its suspension parts. 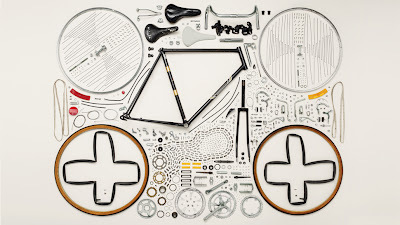 Funny thing is if you gave me all the below parts I could put the road bike back together.